Dr. Pallin is an Assistant Professor of Emergency Medicine at Harvard Medical School. He is also Associate Director for the Brigham and Women's Hospital Center for Clinical Investigation (CTSC/GCRC), and chairs the hospital's Clinical Investigation Committee. Dr. Pallin has been studying skin infections and the epidemic of community-associated methicillin-resistant Staphylococcus aureus (CA-MRSA) for the past decade. He was the first investigator to demonstrate an increased population-level burden of disease associated with the spread of this organism. He has conducted several other seminal investigations in this area. Among these was a clinical trial comparing CA-MRSA active antibiotic therapy to CA-MRSA-inactive antibiotic therapy in patients with cellulitis. This remains the only clinical trial published to date addressing the question whether targeting CA-MRSA benefits patients with cellulitis. The publication in Clinical Infectious Diseases reported no benefit from targeting CA-MRSA, and has influenced the national guidelines of the Infectious Diseases Society of America. His current work focuses on use of transcriptomics to distinguish bacterial cellulitis from its mimics. 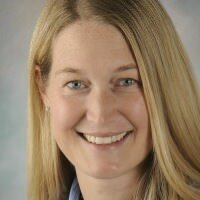 Larissa May, MD, MSPH, MSHS - Dr. Larissa May is an Associate Professor of Emergency Medicine and Director of Emergency Department Antibiotic Stewardship at the University of California-Davis. She is a national expert in antibiotic stewardship in the emergency department (ED). Dr. May received her M.D., her MSPH in Public Health Microbiology and Emerging Infectious Diseases, and her MSHS in Clinical and Translational Research from The George Washington University. Dr. May’s research interests center on clinical infectious disease epidemiology and management, with a particular focus on skin and soft tissue infections and the application of rapid molecular diagnostic assays and clinical guidelines to improve antibiotic stewardship in the ED. Dr. May has served as an investigator on several federally-funded and industry-sponsored trials evaluating new molecular assays in the ED. She has published over 40 peer-reviewed articles, including original research on the diagnosis and management of cutaneous abscesses. She has also served on numerous committees and task forces for the Centers for Disease Control and Prevention and professional organizations including the Infectious Diseases Society of America and the Society for Healthcare Epidemiology of America. 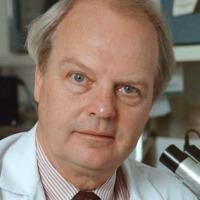 Dr Robert S Daum is a Professor of Pediatrics, Microbiology and Molecular Medicine at the University of Chicago. Dr Daum’s clinical and research focus is staphylococcal infections. both at the bench level and clinically. His clinical projects have included the comparison of several generic antibiotics in the treatment of skin infections in children and adults, He is the Director of the University of Chicago MRSA Research program. Dr Daum has authored 227 peer reviewed publications and book chapters. Dr Daum has been continuously funded by the National Institutes of Health (NIAID) since 2001. He has Chaired the US Food and Drug Administration’s Vaccine and Related Biologic Product Advisory Committee twice, with his second term ending in 2016. He represents this committee by sitting on the National Vaccine Advisory Committee. He also Chairs the Illinois Vaccine Advisory Committee. He is Head of the Pediatric Special Emphasis Panel of the Antibiotic Resistance Leadership Group and serves on the Mentorship Committee of that organization.. He has mentored four K awardees as they aspire to complete their training grant and move to independence. He has also served on leadership committees and task forces for professional organizations. Dr. Peter M. Yarbrough is an Assistant Professor of Internal Medicine at the University of Utah School of Medicine and practices at the George E. Wahlen Veterans Affairs Hospital in Salt Lake City as a hospitalist and quality improvement leader. His clinical focus is on Quality Improvement of the hospitalized patient with efforts on care pathway implementation, patient communication, process improvement, and reduction of waste. He received his MD from the University of Cincinnati in 2005 and completed Internal Medicine residency training from the University of Utah. Dr. Yarbrough served as a Chief Medical Resident following his residency and joined the University of Utah Division of General Internal Medicine in 2009. David M. Young, professor of plastic surgery at the University of California, San Francisco, has made a significant career commitment to developing treatments for infected and complex wounds. 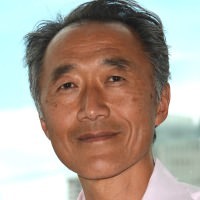 As an academic plastic surgeon, he serves as Medical Director of the wound care and soft tissue infection treatment programs in the UCSF health care system. He has conducted funded research since 1999 in the basic sciences as well as many clinical trials. In his various research and clinical activities, he is in a unique position to study and treat a significant number of patients with complex and infected wounds. His expertise in the surgical treatment of such wounds has lead to greater understanding of the role of antibiotics in various clinical situations. Dennis L. Stevens is Chief of the Infectious Diseases Section, Director of Research and Development of the Veterans Affairs Medical Center in Boise, Idaho and Professor of Medicine at the University of Washington’s School of Medicine in Seattle, Washington. Dr. Stevens obtained a Bachelor of Arts degree in Microbiology from the University of Montana, A Doctor of Philosophy degree in Microbiology from Montana State University and a Doctor of Medicine degree from the University of Utah. He completed an Internal Medicine Residency at the University of Utah and performed his Fellowship in Infectious Diseases at Brooke Army Medical Center. Dr. Stevens’major research interests have been the pathogenesis of serious infections caused by toxin-producing Gram positive pathogens including Clostridium perfringens, Clostridium sordellii, group A streptococcus and methicillin-resistant Staphylococcus aureus (MRSA). Dr. Stevens recently received the Infectious Diseases Society of America Citation for his work on group A streptococcal infections, The William Altemeier Award from the Surgical Infections Society and was elected to membership in the Association of American Physicians. He has published over 160 articles and 60 book chapters on serious invasive infections due to Gram positive infections and has been Visiting Professor at more than 70 national and 30 international institutions. He is a member of the Centers for Disease Control Working Group on Invasive Streptococcal Infections, a consultant to the World Health Organization and has been an invited participant to the National Institutes of Health Workforce on severe group A streptococcal infection. He has testified twice before the United States Congress on the importance of basic science research in Infectious Diseases and on invasive group A streptococcal infections. Dr. Stevens is the current Chairman of the Infectious Disease Society of America’s Guideline Committee for the Treatment of Skin and Skin Structure Infections. 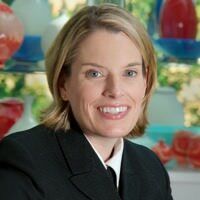 Dr. Gillian R. Schmitz is an associate professor of emergency medicine at the University of Texas San Antonio Health Science Center. Dr. Schmitz’s research focus is skin and soft tissue infections. She received the Emergency Medicine Basic Research Skills (EMBRS) grant in 2008 to study the effect of antibiotics in the treatment of superficial abscesses and was the primary author on a randomized clinical trial that was published in the Annals of Emergency Medicine in 2010. She has published 7 peer reviewed publications and a book chapter on the management of abscesses and recorded a podcast for Emergency Medicine: Reviews and Perspectives (EM RAP) on skin and soft tissue infections. Dr. Schmitz has provided dozens of regional and national lectures and has been an invited speaker at the national meeting for the American College of Emergency Physicians (ACEP) since 2012. Dr. Schmitz has served a number of national leadership positions including serving on the Board of the Emergency Medicine Residents Association, Chair of the ACEP Academic Affairs Committee, and is the current President of the Government Services Chair for ACEP. 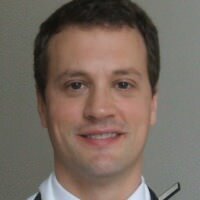 Dr. Martin E. Stryjewski is an Associate Professor of Medicine at CEMIC, Buenos Aires Argentina. 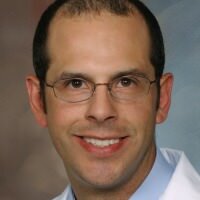 He trained in infectious diseases at Duke University Medical Center (North Carolina, US) and completed his Master in Clinical Research in Health Sciences at the Duke Clinical Research Institute (DCRI). He has been involved in the design and conduction of several randomized controlled trials (RCT) on new antibiotics, particularly focused on MRSA. Dr. Stryjewski has more than 80 publications in peer-review journals, and has been either leading or senior author of different RCT with these new antibiotics. He has also conducted research on tuberculosis, skin infections, bacteremia, infective endocarditis, and osteomyelitis. 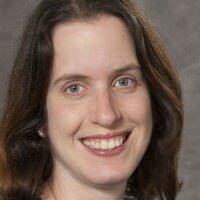 Dr. Jennifer R. Marin is Assistant Professor of Pediatrics and Emergency Medicine at the University of Pittsburgh School of Medicine. She is Director of Emergency Ultrasound for the Division of Pediatric Emergency Medicine and Quality Director for Point-of-Care Ultrasound for the Children’s Hospital of Pittsburgh of UPMC. Her research emphasis is on emergency diagnostic imaging and has focused on the sonographic diagnosis and management of soft tissue infections. She trained under the auspices of two National Institutes of Health (NIH) grants and has served as a member of several NIH study sections relevant to her work. She has held numerous leadership positions on committees and task forces for pediatric and emergency medicine professional organizations. Lauri Hicks, DO is a medical epidemiologist in the Division of Healthcare Quality Promotion, National Center for Emerging and Zoonotic Infectious Diseases, Centers for Disease Control and Prevention (CDC). She is also a Commander in the US Public Health Service. Dr. Hicks attended medical school at the Philadelphia College of Osteopathic Medicine and completed her internal medicine residency and chief medicine residency at the University of Connecticut. This was followed by a 2-year position as an Epidemic Intelligence Service Officer at CDC. After completing a postdoctoral fellowship in infectious diseases at Brown University, Dr. Hicks returned to CDC to lead respiratory outbreak response and the Legionnaires’ disease program. In 2008, she became the medical director for the “Get Smart: Know When Antibiotics Work” program, which aims to educate healthcare providers and the public about appropriate antibiotic use. She leads research on antibiotic use and resistance trends and serves as the campaign spokesperson. Globally she has fostered CDC, European Union, and World Health Organization collaboration leading to joint antibiotic awareness observances several countries across the globe. Dr. Hicks has published numerous articles in peer-reviewed journals and has guided national antibiotic stewardship policy and guideline development. 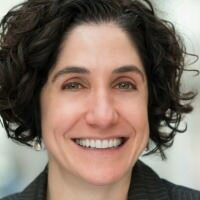 In 2015, she became the director for CDC’s new Office of Antibiotic Stewardship in the Division of Healthcare Quality Promotion to improve integration of stewardship across the spectrum of healthcare. She is an Adjunct Assistant Professor of Medicine at the Warren Alpert Medical School of Brown University. Her areas of concentration include bacterial respiratory diseases, outbreak investigations, and antibiotic resistance and use.